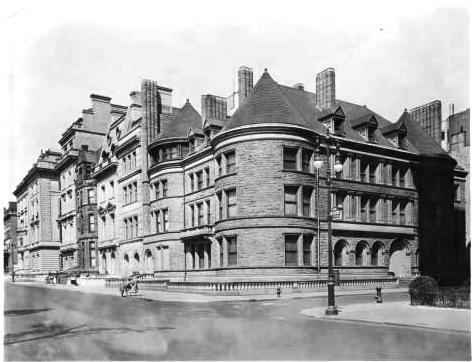 In 1867 the staid brownstone mansions of New York’s millionaires still lined lower Fifth Avenue from Washington Square to 23rd Street. Far uptown, Central Park was still being developed and the surrounding land was mostly open fields. Yet that same year Wallace C. Andrews erected his large residence on Fifth Avenue between 66th and 67th Street, far removed from his peers. In April 1899 Wallace and his wife perished in a fire in the house. By now grand palaces were rising nearby as Manhattan’s wealthy migrated northward to escape commercial encroachment. In April 1903, R. Livingston Beeckman purchased the old home for $325,000. Apparently undecided on exactly where they wanted to live, the Beeckmans also purchased Harry Payne Whitney’s house at the corner of Fifth Avenue and 57th Street a month later. “Mrs. Beeckman will have the present dwelling removed and will erect in its place an American basement residence for her own occupancy,” said The New York Times. Completed in 1905, the house was a dignified Beaux Arts palace on a small scale. Only two windows wide, it rose three stories to an impressive two-story mansard roof with dormers and projecting bulls eye windows. A short, wide flight of steps led to the doorway and a low stone wall flowed from the entrance to wrap the sidewalk, protecting the basement entrance. The second story windows, with picturesque stone balconies, were surmounted by classical pediments; their grand size becoming the focal point of the façade. The Beeckmans spent much time in Newport at their grand estate, Lands End. It was here that R. Livingston Beeckman – whom The Times referred to as “the well-known polo player and society man” – was convinced to enter politics in 1908. Running for Representative to the General Assembly from Newport on the Republican ticket, he would eventually become Governor of Rhode Island in 1915. 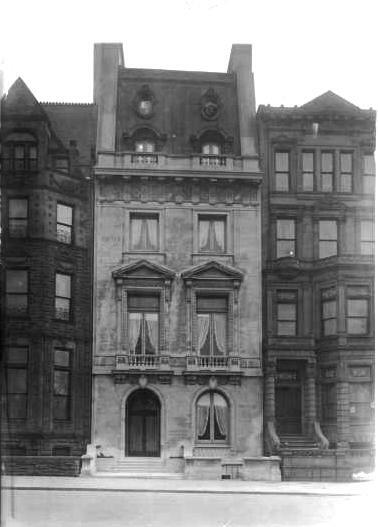 With this new turn in their lives, the Beeckmans essentially abandoned New York and leased their mansion furnished to Benjamin Thaw, a wealthy Pittsburgh banker. Mrs. Thaw, who was known for her collection of rare Italian art, proudly hosted a debutante reception in the house for her only daughter, Henrietta, in March 1911. The Thaw’s son, Benjamin, Jr., would go on to become the first Secretary to the American Embassy in London. In September, 1911, the house was leased – again with the furnishings – to George Grant Mason for about $30,000. If the Beeckmans had been holding on to the mansion in the event they might return to New York, they abandoned the idea in February 1912 when they sold the house to Mason for $700,000. By this time the 5th Avenue blocks around No. 854 were filled with the palatial homes of New York’s elite. Next door to the south, at No. 853, lived Mrs. Henry O. Havemeyer (who owned all the property to the corner of 66th Street where she would soon erect another mansion), while the northern neighbor at No. 855 was Simon Borg. The home’s parlor was the scene of a well-publicized society wedding on January 12, 1918 when Mason’s daughter, Margaret Van Buren Mason, became the wife of Lieutenant Samuel Sloan Colt. As is always the case in New York, neighborhoods change. With the 1930s came apartment buildings. The spectacular mansions built only a few years earlier were purchased and demolished by developers. One by one the homes around No. 854 were lost until the mansion was squeezed, vise-like,between to behemoths. 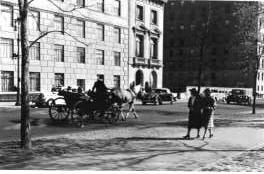 In 1946 Yugoslavia purchased the Beeckman house as its permanent Mission to the newly-organized United Nations. Here on June 23, 1975, an explosive device was tossed into the basement stairwell, shattering several windows in the house but doing no major damage. I love your blog!! This is a great resource.